For each challenge, we try to include links to videos of techniques we use in our Design Team cards as well as any other wonder technique videos we find for the month's challenge. We've listed them all here for your convenience. More will be added each month. Color Burst and Stencils: by Shelby Thomas 6:10. How to Monoprint with Stencils: by Christine for The Crafter's Workshop 7:37. 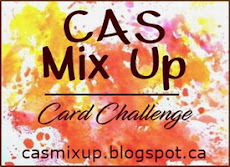 Stencil Monoprinting: by Lee-Anne Cross for Splitcoaststampers 6:50. Quick Tip: Plastic Wrap Background with Radiant Watercolors (leftovers) 2:22. by Lindsay Weirich. Acrylic Paint and Plastic Wrap Background Painting: 3:15 by StudioSilverCreek. Distress Stains with plastic wrap background technique. 2:59. by Technique Tuesday. Plastic Wrap Technique Revisited: 16:32 by Cat Hand.